The final day of the AAU Club National Championships on Saturday was full of record breaking and elite performances. But the team of the week ultimately was Miami Gardens Xpress, which compiled 510 points among 309 competing teams to earn the AAU Club National Team Title. Breaking the first record of the day was 10-year old Kobe Johnson of Olympia Track Club with a time of 10.31. The old record belonged to Tyson Carter (10.40), who won the 11-year old boys 80mH. In the 14-year old girls 100mH division, Falon Spearman of Charlotte Heat ran 14.05 to set a new record. Spearman went home with a triple crown performance, winning the high jump and the 200mH (27.79) this week. 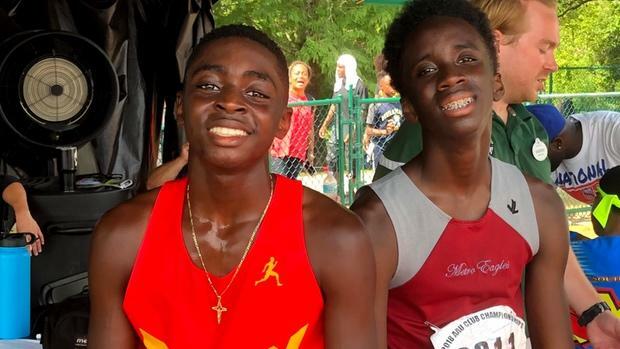 Following Spearman's race, two boys broke the 14-year old 100mH record. Shamali Whittle (Trenton Track Club) won the race in 13.30 and Blaise Atkinson (Charlotte Heat) ran 13.42 for second. Whittle (25.18) and Atkinson (25.87) finished in the same order in the 200mH. As predicted, the 17-18-year old girls went sub-14 in the 100mH final. Rayniah Jones of FAST Lane Track Club won the race with a time of 13.83. She was close to the record of 13.72 set last year. But the little ones dominated the sprint events on Day 7 at the AAU Club Championships. There were nine records broken from the 8-year old to 13-year old age group. In the 8-year old girls, it was a showdown between Bella-Marie Black of Charlotte Heat and Kharisma Watkins of MGX in the 100m, 200m, and 400m. Black came out with two of three wins. She set the record in the 100m and 200m, running 14.27 and 29.09. Black took second in the 400m to Watkins in 1:06.61. Watkins broke the record in the 400m, hitting 1:05.57 and breaking Damira Allen's former record. Watkins took second the rest of the day, splitting open times of 14.45 and 29.22. Juliah Bolden (WTC) defended her club championship in the 100m and set a new record of 13.42. Destyni Devine (Olympia Track Club), who broke the 9-year old record in the semifinals, took second with a time of 13.45. Bolden and Devine switched positions in the 200m. Devine won with a time of 27.76, Bolden in second with a 28.04. The head-to-head matchup between Da'Vekio Ruffin (Louisiana Kream Elite) and Evan Boykin (Charlotte Heat) turned into record breaking performances. Ruffin broke the record in both the 11-year old 100m (12.27) and 200m (25.54) divisions. Boykin took second place in 100m (12.34), but due to injury in the 200m, he took eighth place. 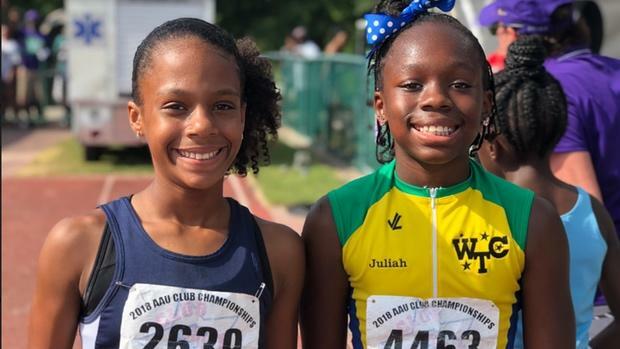 In the 11-year old girls 200m, Skylar Franklin of Five Star Generation broke the meet record in 25.33; Kyaliyah Davis of Dragon Youth Track Club was second in 25.68. Both ladies broke Tamari Davis' record set in 2014. Following Franklin in the 12-year old boys 200m, Durian Moss (Down South Xpress) ran 23.65 to break Amir Rasul's record of 23.83. The final age group of short sprints was nothing short of amazing. In the 17-18 girls 100m final, Semira Killebrew, of Indiana Storm, broke FSU's Katia Seymour's record of 11.64 by running 11.58. Taylor Banks of Miramar Optimus won the 17-18 boys 100m, tying his own record of 10.39. 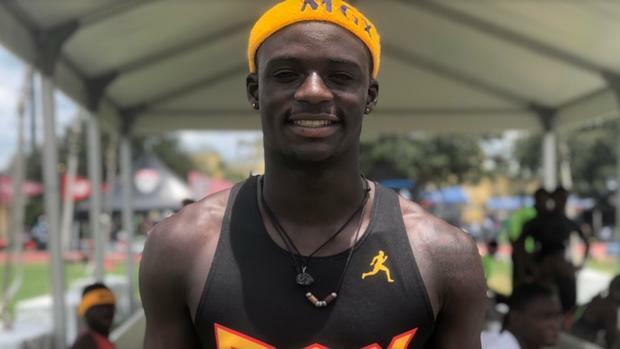 Tyrese Cooper of MGX was disqualified in the 100m due to a false start; however, he came back with wins in 200m (20.96) and 400m (46.95). In the 9-year old girls 400m, Jordan Johnson set a record in 1:02.87 to take down the old record set by Julia Grant (1:03.77). Following Johnson in the 12-year old girls 400m, Christin Facey broke the record she tied in the semifinals (55.76) by running 55.74. One of the closest races of the day was in the boys 13-year old 400m. It was a three-way matchup to the finals with 20m to go. All three boys crossed the finish line, and no one knew who won. When the results appeared, it showed that all three had broke the current recor; in third was Wesley Noble Jr. of Metro Eagles (50.53) and in second was Mehki Gammons of MGX (50.51)--he also won the 800m (2:05.12). The winner and new record holder was Jaren Hamilton of Peak Performance with a time of 50.50. Cha'iel Johnson finished her club championships experience, going three-for-three on the track. She won the 13-year old 1500m earlier this week, and on Day 7 she won both the 400m (56.19) and 800m (2:18.78). Johnson left the AAU Club Championships with three gold medals and two meet records. Athing Mu, meanwhile, completed her own triple crown effort, winning both the 15-16 400m and 800m. Mu set a new record in the 400m in 52.45--a huge personal best--breaking University of Miami's Symone Mason's record. In the 800m, she just missed her own record of 2:07.18 by hitting 2:07.21. Earlier in the week, Mu also won the 15-16 sprint medley with Trenton Track Club. In the 17-18 girls 800m, it was a close race with 200m to go. Daishon Spann of E.O.T.O. Elite won with a time of 2:13.28. The last time Spann won the 800m here was in 2015; she also was second in the heptathlon earlier in the week (4,284), fifth in the 100mH (14.57) and a part of the record setting sprint medley team for E.O.T.O (4:00.91), winning the 800m and 4x400m (3:44.38). By winning three out of five events, Spann is now an 18x AAU Club Champion across six different events over the last eight years. That's all for the 2018 AAU Club National Championships! If you're looking for any additional coverage on the meet head to FloTrack.com.